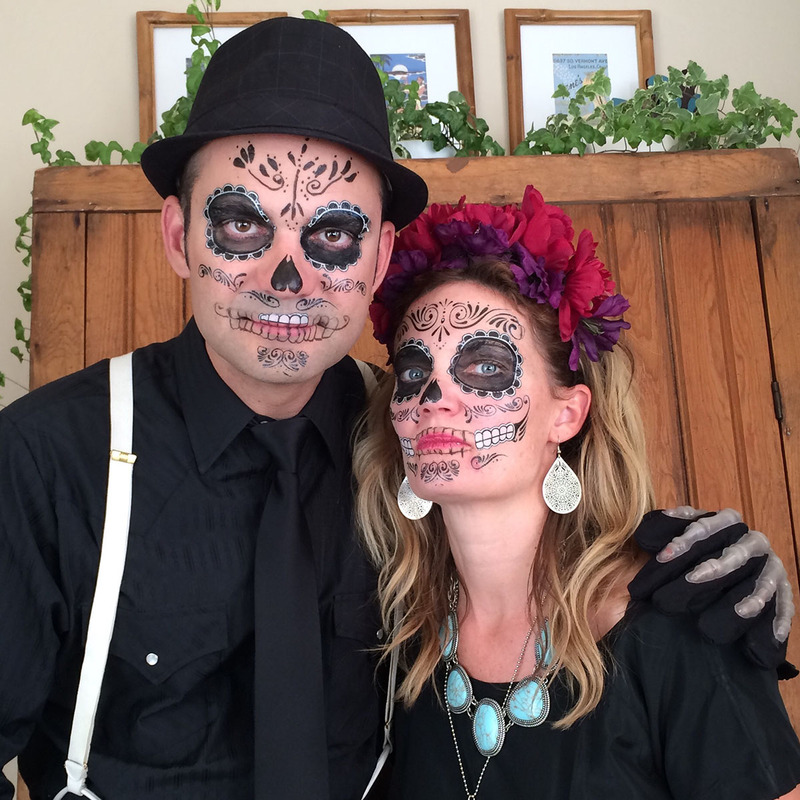 I love the images of well-dressed skeletons and decorated calaveras (skulls) that begin to appear in the fall. 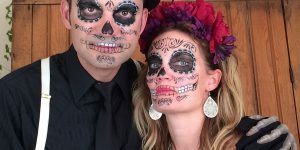 On November 1st and 2nd, All Souls or All Saint’s day or Día de los muertos is celebrated in many countries around the world (the Philipines, Italy, Spain, Mexico and many countries in South America). The holiday honors the deceased. 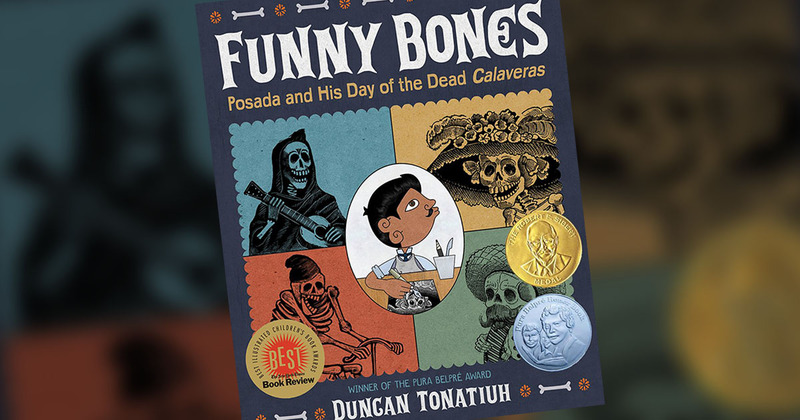 Until I read, Funny Bones: Posada and His Day of the Dead Calaveras By Duncan Tonatiuh, I did not know the history behind the skeletons that are seen around the Día de los muertos. 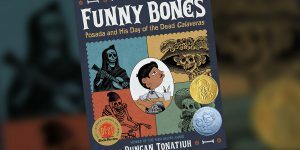 With a heap of literary awards and nominations, Funny Bones: Posada and His Day of the Dead Calaveras is the true story of the Mexican artist José Guadalupe (Lupe) Posada. Posada, was a printer, a political cartoonist that later created the now famous artwork of skeletons. The author/illustrator adds another layer of richness and brings history into his book by using Miztec style artwork for the illustrations. The activity for this book is to create your very own día de los muertos mask! Click here for directions and a video on how to make a plaster mask and decorate it for el día de los muertos. Research día de los muertos images online for ideas on the many ways the mask can be painted.